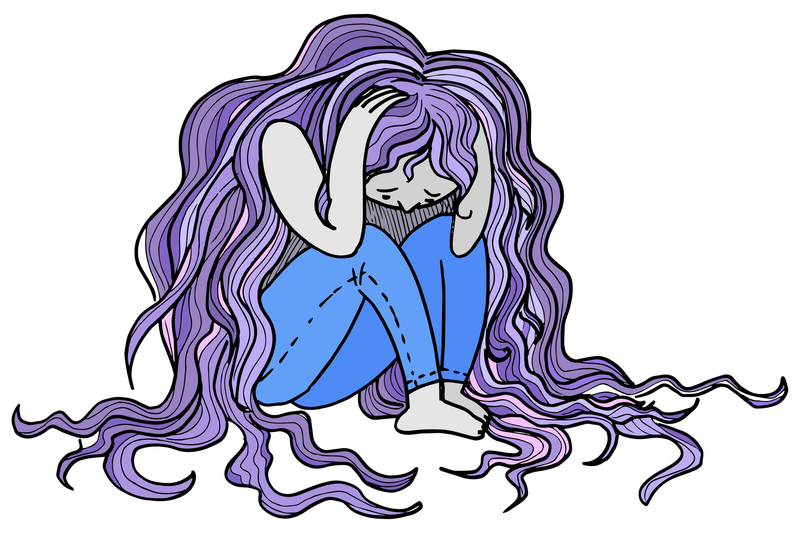 According to the National Institute of Mental Health, 30% of teen girls and 20% of teen boys have anxiety disorders, yet other data has shown that 40% of students with mental health concerns never seek help. The percentage of teens with anxiety continues to rise, but societal stigma associated with mental illness persists, and that can keep young people from getting the help they need. That’s where the BeMeBeFree campaign, launching September 5th, comes in. It aims to encourage youth around the world to share their personal anxiety stories through creative expression, whether that’s an essay, poem, video, or song. Back-to-school season can create a lot of anxiety for young people, but this campaign aims to raise public awareness about the urgent challenges teens and young adults with anxiety are facing, and to create a safe space for dialogue on the topic. Anyone aged 12 to 24 is invited to submit their anxiety stories from September 5th to October 5th. Then, a team of mental health professionals specializing in anxiety will select one story that will inspire a Lifetime Original Movie to premiere in 2019. The campaign was created by Darryl Roberts, founder and CEO of Harley Boy Innovative, a consulting firm that focuses on programs that address social issues affecting teens. Roberts was previously the force behind “Are You an Ally?”, a bullying-prevention program sponsored by Abercrombie & Fitch and featuring Pretty Little Liars actress Lucy Hale and popular band Echosmith. He’s also the director of America the Beautiful, a documentary film that deals with America’s unhealthy obsession with beauty that is now available in the libraries of 2,700 universities. Through his work, Roberts has traveled across the country, visited high schools, and spoken with hundreds of students about the problems they are facing. Realizing that many of today’s students are suffering silently from anxiety, he decided to come up with a campaign that would address the issue head-on and give young people a platform to become allies for themselves through the cathartic medium of storytelling. “I knew that teens needed a voice while going through the tough times of anxiety, and I figured that storytelling is one of the best ways to express oneself and build self-esteem,” Roberts told HG. The campaign welcomes submissions from all perspectives—whether that’s a first-person account from someone going through it now or an account of a person’s experience while in a relationship with someone living with anxiety. Above all, Roberts wants to create a nuanced picture of what it’s like to live with anxiety by accepting submissions from every single person who has a story to tell. Roberts said that studies have shown that people with anxiety can reduce the angst they feel by sharing their stories with others, and that when someone reads another person’s story, they feel encouraged to share their own. “Through this process, teens are effectively building a community where they can feel safe and do something that they cherish doing, which is belonging to something,” he said. On the campaign’s website, there’s a “Story Community” page, which features some submissions (with participants’ permission) so other young people can read the stories and know that they’re not alone. An anonymous 22-year-old participant from Seattle, Washington, who submitted a letter about her experience with anxiety, told HelloGiggles that she found out about the campaign through her therapist. “I know how hard it is to live with anxiety and hope that my story could help someone else cope with what they’re going through," she said. She said that her experience with anxiety ultimately caused her to have an eating disorder and drug and alcohol addiction. Now sober for a year, she believes that this campaign is important because it can help people who are struggling and feeling alone by talking openly about anxiety. The campaign’s website also provides easy ways to connect with critical resources to address anxiety effectively; an anxiety quiz allows individuals to take a short quiz, then gives them a suggestion of where they lie on the anxiety scale, letting them know if they should seek professional help. “A lot of times, people have anxiety and don’t know it or conflate symptoms from other things as having anxiety. We’re hoping the test can let teens know where they are so they can reach out to one of the professional mental health organizations that we have listed on the website if they don’t have anyone else to talk to,” said Roberts. Beyond this, the campaign will continue on even after the final story is selected by hosting social media forums and discussions, and sending email newsletters to keep the positive conversation around anxiety going. To spread the word about this important project, BeMeBeFree is collaborating with 20,000 high schools, 3,000 universities, and over 800 mental health organizations to encourage a positive shift in the way we talk about mental illness.